But you're finding yourself spending hours on sites like Upwork and Freelancer. And you're feeling frustrated with only finding clients that want to pay hardly anything. And you're starting to think that this whole "freelancer thing" is some sick, cruel joke 'cause how the hell are you supposed to actually land your first paying gig? Well, I'm about to blow your mind with a mega #TruthBomb. Cold emailing is a highly effective tactic that all new freelancers should be using to land clients. You can start doing it right away, with zero experience. You don't need to have thousands of followers, crazy connections or features on Forbes. You can set your own rates and choose your clients. All you truly need is an email account, and some well-crafted copy that makes working with you sound irresistible. Here are my cold emailing secrets that have helped me and my Mind The Gap coaching clients land high-paying clients! The first step to cold emailing clients is to pick a niche. Why? It's more profitable to be known as an expert for one skill than to market yourself as a jack-of-all-trades. Then, you want to target clients that will give you the kind of work you want AND have the budget to pay you, as well. Oftentimes, I see new freelancers targeting clients that have little to no budget for even hiring contractors. Choose the path of least resistance, my friend! Not sure how to pick a niche? Think about something that you know a lot about or you can learn. Next, list out all the topics you're interested in and are passionate about. Lastly, think about something profitable that your target market would pay for. Meaning, what is a HUGE CHALLENGE for them – so much so, that they are willing to pay for it to go away? The sweet spot is finding something that overlaps with all three of those areas. Once you have that, you'll have found your profitable niche! But hold your horses. Soon, we'll need to verify that your chosen niche service pairs well with your chosen target market. If you want to start your freelancing career going the cold emailing route, you need to have a website. And if you want to have a successful business long-term, you need to have a website. But it shouldn't be a one-page portfolio of your work. Your website is prime real estate to show what makes you special and to appeal to your target niche's pain points (A.K.A. their challenges that are so annoying, they are willing to pay to have them go away). Think setting up a website is too expensive? In fact, you can set up your entire freelancing business for less than $100! This is where a lot of freelancers make their first mistake. Though this is a numbers game, sending cold emails to a bunch of random businesses won't be very effective. You need to tailor your pitches to clients that fall within your target niche. If you're one of my InstaGrowth Boss students, you'll know the power of niching. If being super specific can gain you new Instagram followers, just imagine what it can do for your bottom line. Google: When in doubt, Google. Research the businesses in your chosen niche and create a list of the ones that you want to pitch to. LinkedIn: Mark my words, 2018 will be the year of LinkedIn. After the 2016 acquisition by Microsoft, the LinkedIn platform and algorithm is wide open for the taking. 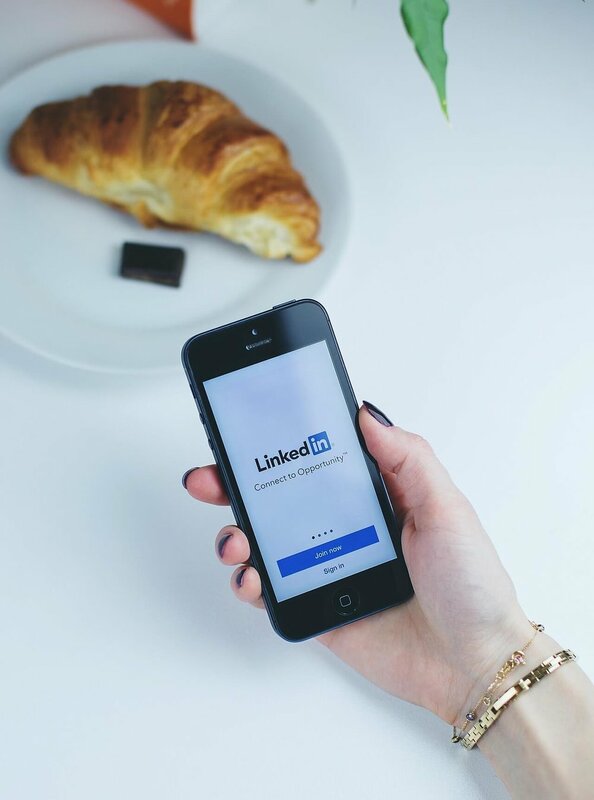 Plus, LinkedIn has a powerful search tool that makes it easy to find businesses in your niche AND connect to the right person. Sending your pitch to a generic info@company.com isn't going to get you the results you want. Remember, the more specific you can get the better. LimeLeads: If you're based in the US this is one of the most powerful cold emailing tools. It's basically a HUGE database that has contacts narrowed down by industry. It is a paid tool, but it will save you a ton of research time. You've found some potential clients, and you're ready to send your first email. If you're anything like me, you're probably TERRIFIED about hitting that send button. I know it's daunting, but it gets easier with each one. And it's actually really important to do. Because here is where you discover if your niche service offering matches up with your chosen target market! If you send out a hundred emails and no one replies back... well, it might be time to go back to the drawing board. But if you're getting responses, you're onto something! ...Like, your first paying client. Make sure you personalize the email to the recipient and tailor it to their business needs. Stalk the recipient a bit on social media and see if you can open the email with a genuine connection. Better yet, follow them on social media and engage with them first before sending them an email. Craft an eye-catching, non-generic subject line that is tailored to their business. Don't position yourself as a desperate job-seeker. Avoid landing up in the trash bin with titles like "social media manager who needs work" or "I'm looking for experience." End your email with a strong call to action. For example, give them a time limit to get back to you or ask when would be a good time to arrange a call to discuss their business needs. Remember, the secret sauce to cold emailing is to focus on the client. You want to show them that you can help them achieve their business goals. With that said, cold emailing isn't the only way. It IS possible to land your first paying client without cold emailing and without a website. In my step-by-step course, Freelance Biz in a Box, I teach you how to set up your own freelance business using the skills you already have to create an "I-must-book-now" brand – WITHOUT cold emailing or a website.